Honeycomb understands that the best way for kids to learn is through hands-on fun. 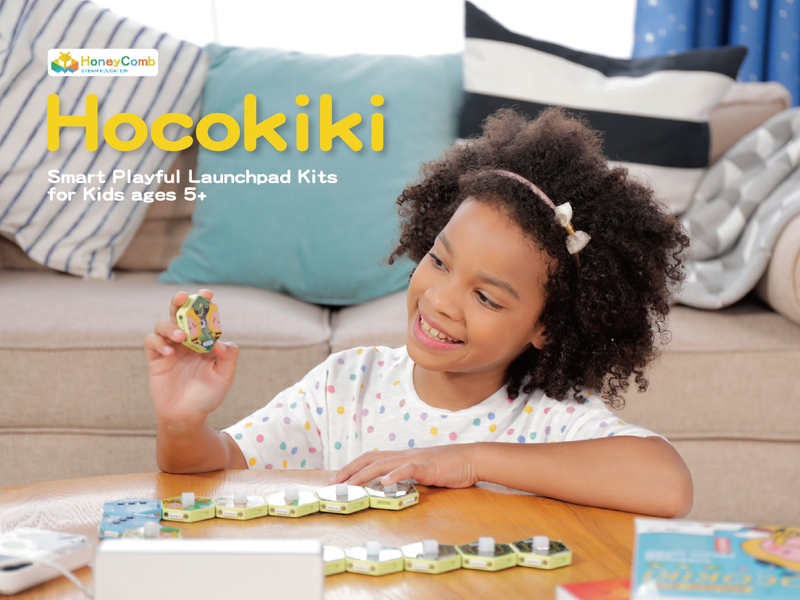 Their newest release, Hocokiki Launch Pad Kit is a revolutionary, easy to use electronic music toy for kids ages 5+. The system employs a set of hexagonally shaped magnetic blocks with different functions. By connecting Hocokiki music blocks and button blocks in different combinations, kids can create their own personal music system.Hocokiki inspires musical talent and improves hand-eye coordination, imagination, creativity, and early childhood development. The Honeycomb team was motivated to turn children’s natural attraction to electronics into fun, interactive learning that encourages creativity and develops problem solving skills. This revolutionary musical learning system lets kids plug, connect and play in seconds. The easy to use modular blocks include sound modules of more than 16 instrument sounds, 20 classic songs, 48 music loops, and 96 sounds of animals and nature. The different combinations allows creative improvisation with an endless number of sounds and songs. The blocks can be turned on and off with simple gesture control for convenience and fun, putting the magic of music right at the fingertips. In addition to being fun, Hocokiki teaches the basics of coding that are an important skill in today’s world. By understanding the effect that different combinations of blocks create, the basics of coding and programming can be understood in a simple way. With Hocokiki, anyone can learn simple coding and programming systems. 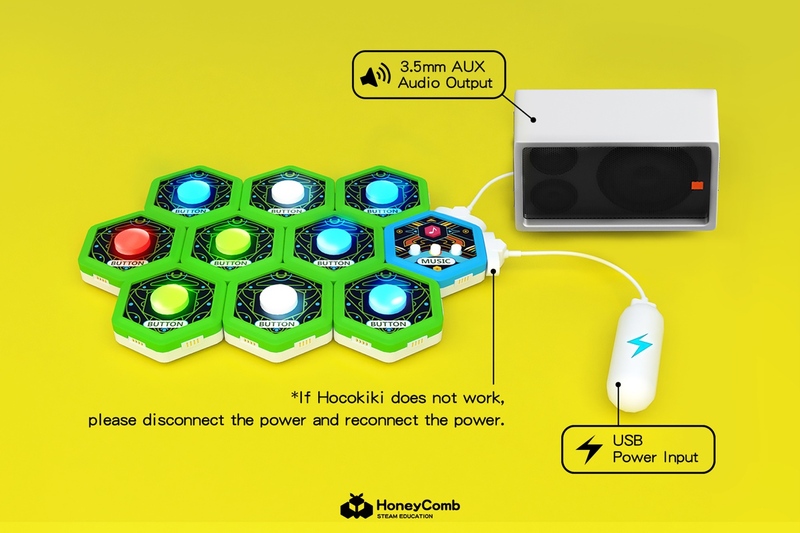 Hocokiki is an evolution of the simple building blocks that many youngsters grew up with but include the latest electronics for a new generation of children. They are simple to use and make a fun activity for the whole family. Hocokiki is a powerful and fun learning tool for all youngsters with an interest in music, building and electronics. 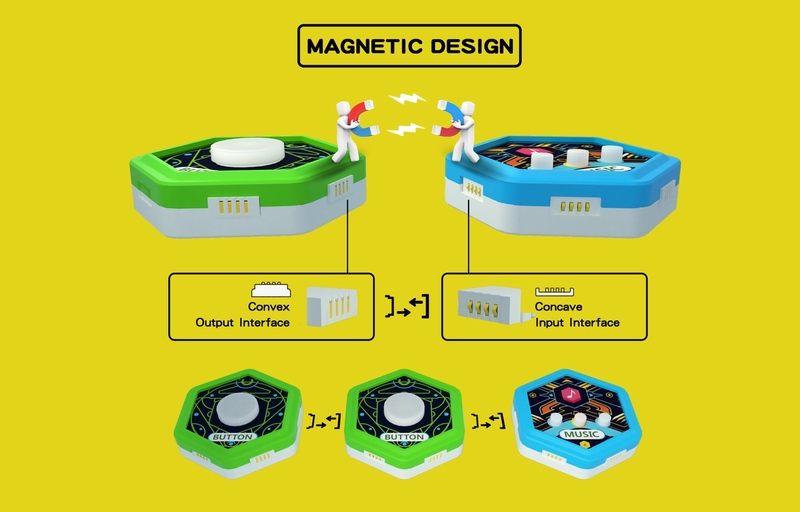 It is a toy that emphasizes STEM philosophies, an educational system that uses a holistic approach to science, technology, engineering, and mathematics that helps to develop problem solving and creativity in children. STEAM learning is proven to help early childhood development and collaborative learning while developing lifelong digital skills.